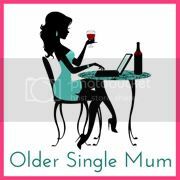 Older Single Mum: Oh She's a Beautiful Mama. Oh She's a Beautiful Mama. When times get rough, it's good to hold your children closer than usual. When you're a single parent riding the storms of family pressures, those times are fairly frequent and, lately, I've been holding mine very close indeed because it's so very healing. It's a little while since we've had one of these babies and how lovely it is, thank you Luci. 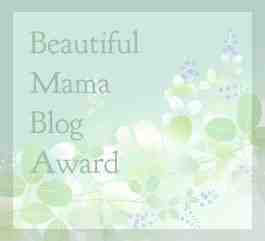 Nominate other deserving Blogging Mamas and let them know I've done so. To be honest, this was really hard work! 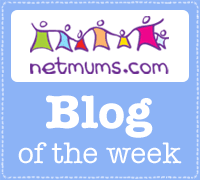 It made me think and appreciate motherhood more, to stand back a bit and take more notice of the nicer elements, rather than be caught up in the humdrum of daily activity counting down the hours until bedtime and I even learned to sit with my children more for a breather, as opposed to trying to escape them by staying in the loo longer than necessary, despite the fact they still never leave me alone in there anyhow. So, the comfort derived merely from the physicality of their presence and their unpouring of love displayed by constantly plonking themselves on me and making the most of that while they're little, would be the first thing on this list. The second would be the passing on of some traditions from my own childhood, such as the decorating of boiled eggs this Easter Sunday - with their own added twist, naturally! The third thing I'm presently loving about motherhood is the pride and joy of hearing my eldest read books to his little brother, that I used to read to him. Even though he has moved on to Harry Potter and Roald Dahl (to the extent the latter has added a whole new dimension of yuckiness to our conversations!) the thoughtfulness with which he passes on that enjoyment, taking that time and making that effort to share stories he now finds 'too baby-ish' makes my heart swell and gives me butterflies. And, last but she could never, ever be least, Kate, the wonderful WitWitWoo. Lovely, I know what you mean about the enjoyment of spending a little extra time with them, but also about hiding from them in the loo! Thank you Sarah and I'm looking forward to reading yours! This was so lovely - I melted when I read that your eldest now reads to his younger brother - that is so sweet and considerate, but then he is very much like that isn't he? I remember how gentle he was when he met Little A!. I can't wait until Little A starts to read Harry Potter - will give me an excuse to read it for the tenth time! :o). X. Sorry to hear you've been under pressure lately. Hope all is, at heart, well.